We supply pre-assembled magnetic motor parts with glued permanent magnets and metal body according to customers'requirements. And we have modern magnetic assembly line and first rate machining equipments, including CNC lathe, internal grinder, plain grinder, milling machine,etc. Modern inspecting techniques and stricted quality management system ensure us to supply high quality products to you.We will supply a complete motor parts or magnetic coupling that is ready for the fine finishing by you. It is a cost-saving MAGNETIC SOLUTION for clients. 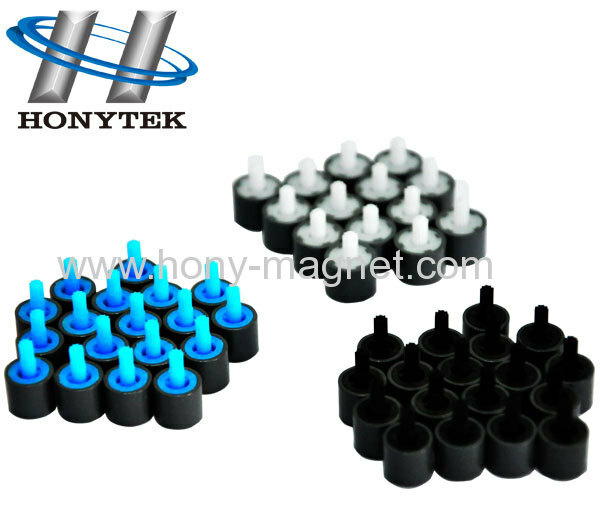 Bonded NdFeB magnet is made through "compression molding" or "injection molding" of the mixture of quick-quenched NdFeB magnetic powder and bonding agent. Due to its high accuracy in size, the bonded magnet may be formed into magnetic components of relatively complicated shapes. Also, it features single-time molding and multi-pole orientation. 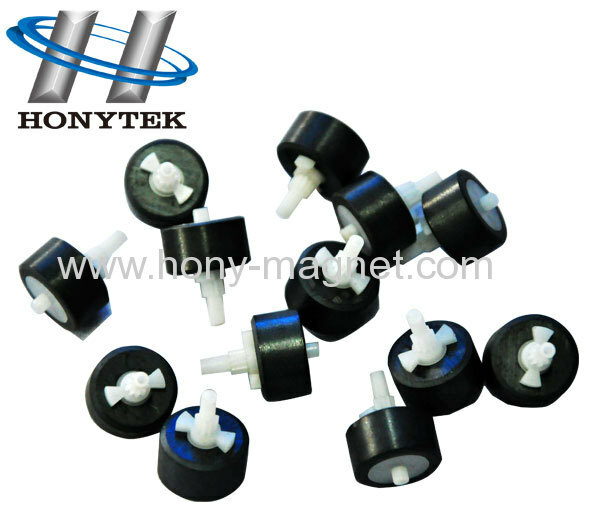 The injection molded magnet has a high mechanical strength and may be molded together with other matching parts.